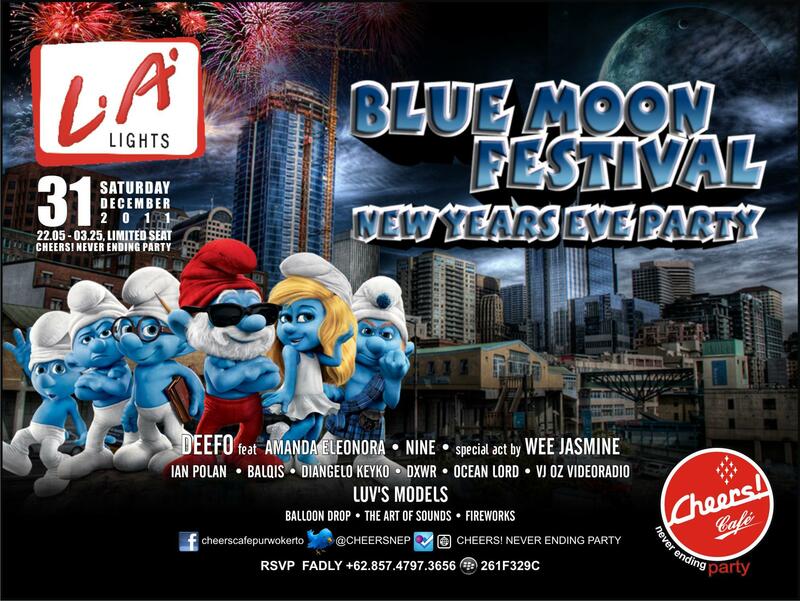 The much anticipated New Year’s Eve party is here, BLUE MOON FESTIVAL is a celebration ritual in the Smurf’s world. Unique decoration, Cool talent, Special FX, and lots of fun. It’s gonna be the most unforgettable NYE party ever. Ready for it? Lets Party!! ~ by cheerscafe on December 14, 2011.